Food was the first, now roses too. Repeat Roses: a beautiful and sustainable idea to reduce event waste and bring some joy to those who need it the most. 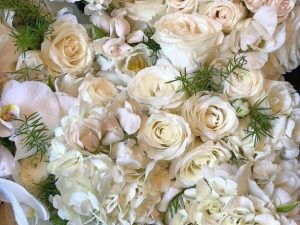 Great news from the USA: Repeat Roses is a volunteer association that picks up leftover – yet still beautiful and fresh – flowers from events, parties and weddings, and redistributes them, bringing some more joy to the community. On the model of associations that redistribute excess food (in Italy Equoevento and Banco Alimentare), Repeat Roses remove events’ floral displays immediately after the event in order to restore and rearrange them into bouquets that are delivered to hospitals, nursing homes, shelters, even public dorms. After a few days, the association collects those flowers and composts them locally, where they enrich the soil. And so, after bringing joy in two occasions, the sustainable circle closes. A magnificent and progressive idea that we hope will be replicated. Visit Repeat Roses’ website, it will be worth it.